If you need to tailor your pickup truck to your exact requirements, the 2009 Chevrolet Silverado enables you to do just that with a wide variety of configurations, bed lengths and trim levels. The Silverado's V8 engine lineup offers Active Fuel Management technology, Flex-Fuel E85 capability and even a hybrid model. It is dependable and easy to maneuver in all weather conditions. Love the truck. Very comfortable and easy to operate. V8 motor has plenty of power and towing ability. 4x4 works well in the snow. Extended cab with the half rear door looks better than the current four full doors. Solid red without metallic paint and aluminum wheels stock. OnStar and sirius radio is available with subscription service. Towing package is part of the standard Silverado package. Mine came with a soft bed cover and a hard plastic bed liner. Cloth interior with manual controls are very comfortable for my six foot frame. Dash controls are well located and well lit. My only complaints about the truck would be the purchase price and with the automatic function headlights, a dash indicator would be nice. Have had no problems, performance,totally reliable, and comfortable for a long ride. Fully loaded just no sunroof or moonroof. Have right at 140,000 miles on it , has never been in the shop except for oil change, alignment, new tires, or total check ( grease rod ends rear end ) it's all highway miles . All Chevrolets I see run little rich on fuel. The first set of tires ( factory) only did 28,000 miles , bought Bridgestone and got 40,000 , than bought hancock and got 63,000 and bought another set of hankook! Changed the plugs at 95,000 and they looked just like the new ones. 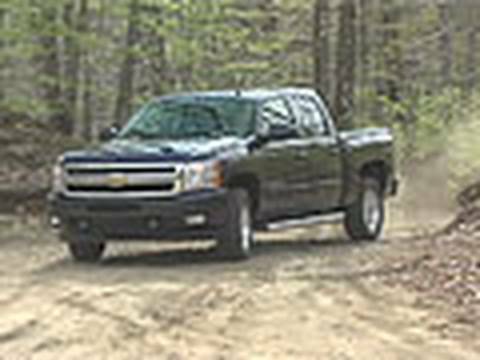 Chevrolet Silverado 1500 2009 ext cab 5. 3l downsides. This truck has many issues, in my opinion they are outweighed by the positives though. I get roughly 11 miles to the gallon on highway, and 9. 5 mpg during city travel. This has been the biggest down fall of this vehicle. Costing me thousands of dollars in gas over the course of a year. On top of that, multiple shop visits were needed. I am unsure if its because of the previous owner or if it's the truck itself. I just know I spent almost 3000$ in under 3 months owning the vehicle.